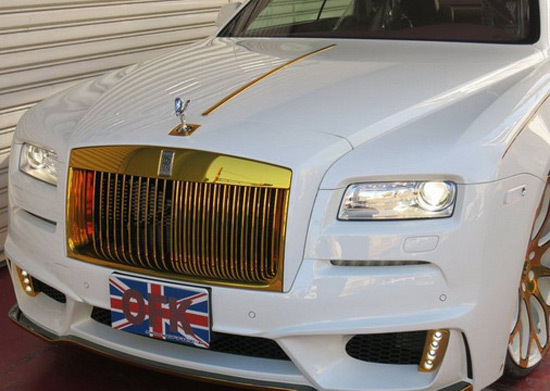 A few days after Japan’s Wald International showed its modified Rolls-Royce Wraith, the British luxury coupe has passed and processing in tuning house Office-K. In this case, on the car stands out conspicuous aero body kit. 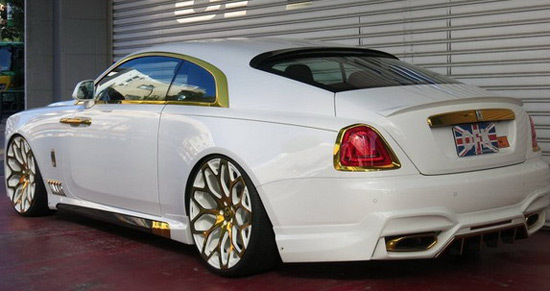 That includes revised front bumper, side skirts, rear bumper with diffuser and numerous gold detailing on the exterior. 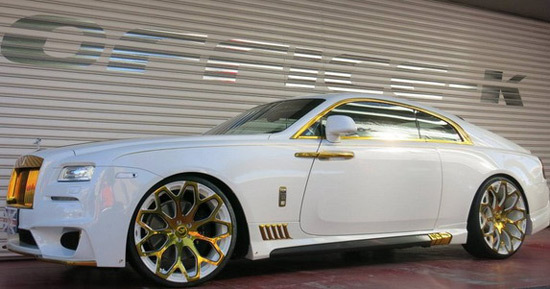 The Wraith has a gold-finished grille, gold accents on the front apron, the side sills, the window frames, the door handles, the taillight surrounds and even on the exhaust tips and diffuser. The same finish was also applied to other parts of the exterior. 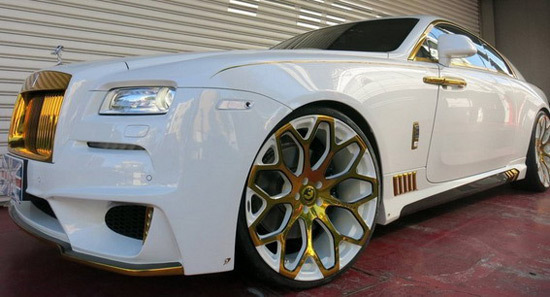 To complete the look, Office-K has added truly vast 24-inch wheels – also in gold. Even a Miracle variable exhaust system was also fitted (with tailpipes in gold color).